For most of the 20th century, the Italian wine scene was absolutely dominated by a relatively small handful of wine regions, mostly concentrated in the north of the country and run by large, archaic family businesses. However, in this brave new era in which the alternative and authentic is king, the tides definitely seem to be turning. Nowadays, millennial wine drinkers are looking to the sunny, passionate, and somehow more chaotic wineries of Italy’s southern regions, and most significantly, those of Puglia. This region - the ‘heel’ to Italy’s boot - is known for powerful, full bodied wines, made from grapes such as Negroamaro, which are grown under the blazing sunshine and in the roasted earth. Here, in the Primitivo di Manduria wine region, we find the Luccarelli winery, which is quickly gaining a reputation for producing the quintessential Manduria wines and capturing the spirit of this ancient, beautiful place. The southern climes of Italy are home to some of the most under-recognised wines and varieties in the world of wine. Overlooked for their flashier northern cousins, these wines offer quality drinking and honest stories of where they came from. 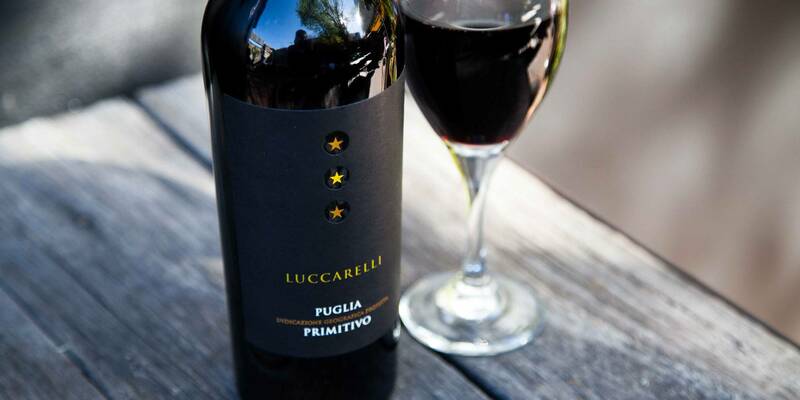 Primitivo is a grape that is genetically identical to Zinfandel, and does share of that grapes ripe dark red fruit profile. Due to its climate however, and the old volcanic soils of the area, it has an added edge of coffee bitterness and tannic grip. 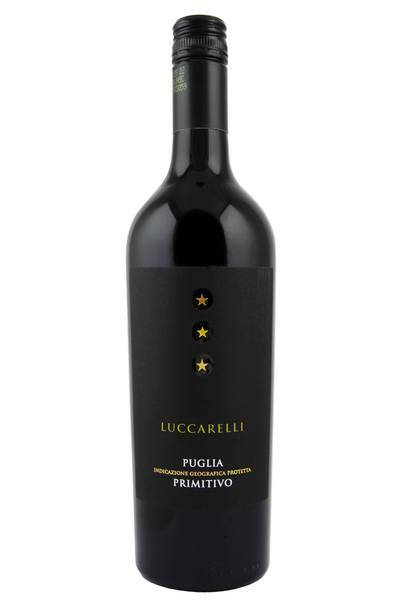 The 2015 bottling from Luccarelli is simultaneously complex and fruit-driven, redolent of plum, prune, cherry, and vanilla. It is on the richer side, but maintains its edge and verve with trademark southern Italian tannins and some coffee/cocoa spice. Mmmm. Primitivo. This is the kind of full-bodied, slap-you-around-the-face red wine which Puglia is renowned and loved for, and it’s a wine to drink alongside the big, fully-flavoured sharing dishes that Italy as a whole is renowned and loved for. Rough hewn meatballs swimming in rich ragu, homemade favourites like spaghetti puttanesca, pizzas topped with spicy sausage and other meaty treats… all go beautifully with this smooth and seductive wine. It’s also great with other dishes which combine fully-flavoured meats - including beef and lamb mince - with tomato sauces, like chilli and lasagne, and also goes very well with duck and game.